Just a few years ago Snapchat was perceived by many as a passing fad. However recent statistics show that it could be Facebook’s biggest threat in 2016 and beyond. Most of the tech world was shocked last year when 24 year old Evan Spiegal rejected a $3 billion offer from Facebook, that would have reportedly earned him up to $1 billion personally. Now that the 5 year old startup is valued at $16 billion it appears that the Snapchat CEO made the right decision, and Snapchat may be the one to take Facebook’s crown. Snapchat regularly appears amongst the top 5 apps in the App Store and shows no signs of disappearing. It has the attention of millennials who spend on 30 minutes per day on the app on average. 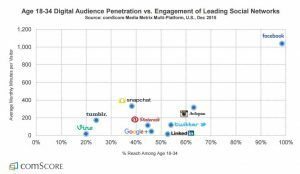 According to comScore, Snapchat is second only to Facebook in time spent on the app per month. With Snapchat adding more features regularly, it seems these stats will only improve. The latest update came last week, allowing users to video and audio call, as well as send gifs and stickers. These features are blended together so users can seamlessly toggle between communication methods. 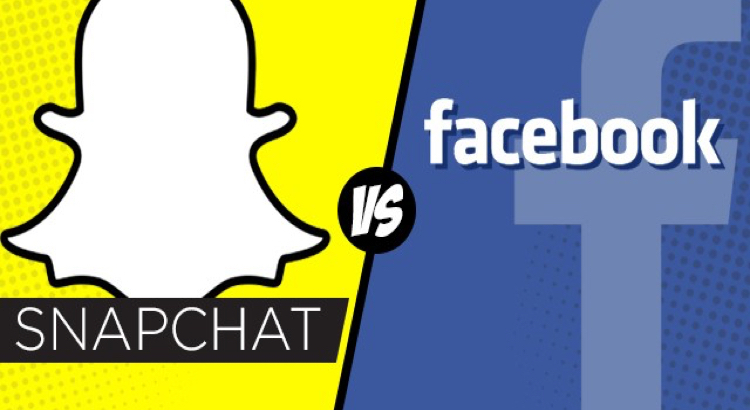 With recent figures showing that Facebook and Snapchat both received 8 billion video views per day, it appears Facebook has serious competition. Although Snapchat still has to build it’s business and prove itself over time, many industry thought leaders believe the platform is set to dominate the social media space. More and more business leaders are seeing the potential of Snapchat for their brand and some early adopters of Snapchat Marketing are already seeing huge payoffs. One is clear, and that is that Snapchat is here to stay and needs to be taken seriously. What is your opinion on Snapchat’s future? Is it Facebook’s biggest threat or do other competitors such as Pinterest and Twitter still have chance to catch up?